Here’s a very ambitious project by Modded by Bacteria. 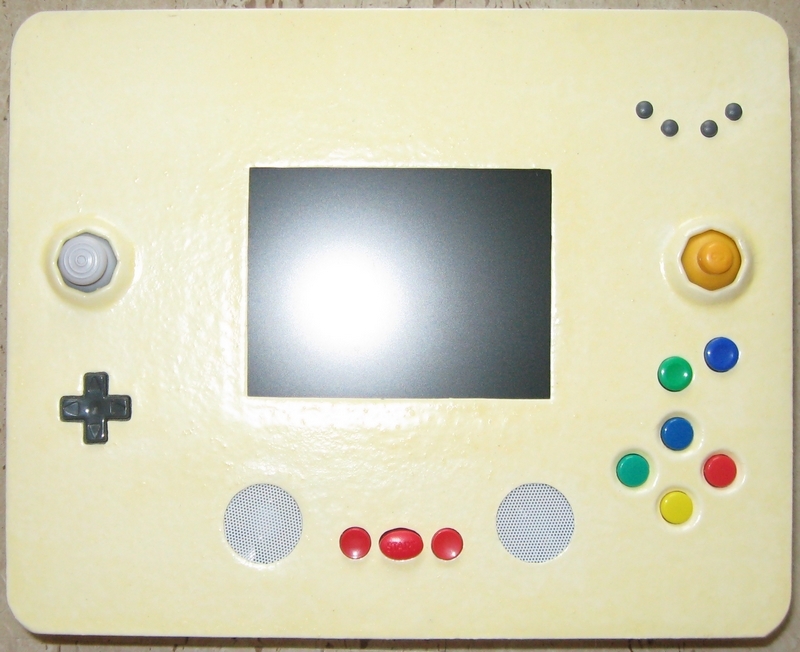 This odd looking controller is actually a portable gaming system. What’s with all of those buttons? Well the aim of this project is to be able to play the actual console games from the: NES, Super Nintendo, Nintendo 64, Sega Genesis, SMS, Amstrad GX4000, Jaguar, Playstation, and the Gameboy Advance. Each system will have its own adapter; which at this point, doesn’t really help the portability. If you look at the video, you can see that this system, while actually portable, isn’t really for carrying it in your backpack and playing it on the bus. The system is huge. However, the concept is pretty cool. Check out the video for an example of the Nintendo 64 adapter.